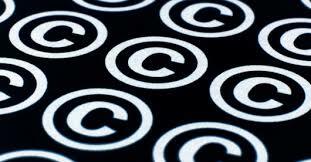 Copyright reform: Could EU Commission do worse? Paris, 2 September 2016 — A few days ago, an impact assessment and a draft EU directive leaked, exposing the plans of the EU commission on copyright reform. After years of prevarications, the Commission remains stuck in a vision of copyright revolving on defending of cultural industries. Its proposals are still very much out of touch with the need to adapt to digital practices, and even table a couple of dangerous proposals. Four years have passed since the European Parliament rejected ACTA in a historic vote, but the reform project of the Commission invariably remains based on an out-of-date vision of copyright, ignorant of the requests repeatedly expressed by hundred ouf thousands of EU citizens. The documents leaked during the last weeks look like a catalogue of the measures promoted by cultural industries lobbies. The most grotesque proposition consists in creating a related rights (also known as neighbouring rights) in favour of press editors, allowing them to gain a better position against search engines and other news aggregators. The approach has already been tested in Germany and in Spain with disastrous results, but the Commission continues down this path and goes even further with a 20-years right, whose application is not limited to search engines, and which will in all likelihood interfere with the liberty to use hypertext links. The same harmful logic is at work with “value sharing” between right-holders and large platforms. The Commission didn’t go so far as to dispute the responsability of hosters, as found in the eCommerce directive of 2000, an old obsession of right-holders. But it stipulates that plateforms susceptible to share copyrighted content uploaded by their users will have to conclude agreements with rightholders to improve compensation and set up systems to prevent fraud. But, by doing so, the Commission pushed for a generalisation of automated content filtering solutions (fr) as seen on Youtube or Facebook. Those agreements, which will inevitably remain opaque, will complete the transformation of those intermediaries into a “private copyright police” as La Quadrature du Net has been warning against for years. The Commission has nonetheless left a few copyright exceptions on its roadmap, which it expects to make binding for Member States. Those dispositions relate to archival copy in patrimonial institutions, text and data mining, or the use of content for teaching or research, including on the Internet. We are pleased to see the Commission address these issues, especially since they were the target of an unprecedented smear campaign from right-holders. But even on these subjects, the Commission proposals remain very much below the users’ expectations. For instance, it makes provision for Member States to be allowed to make licences prevail upon the law for the educational exception, which in the case of France would be a regression. More importantly, these thin “positive” elements are much weaker than the proposals of the Reda Report, which already stemmed from a number compromises. Freedom of panorama, supported by half a million of Europeans, is thus removed and left to the wisdom of Member States. Nothing was kept of the loan of digital books in libraries, even though the European Parliament called upon the Commission to address the issue. Not to mention the real questions raised by digital creation: sharing works, transformative uses (audiovisual quote, remix, mashup, fanart, etc. ), which the Commission still stubbornly ignores, even though they constitute the everyday cultural practice of millions of Europeans. The authors should make no mistake: these guidelines are not intended to improve their condition. The only measures that support authors’ remuneration in the draft of the directive remain vague and only mildly binding for producers and editors. Worse, by opening the Pandora box of a neighbouring right for editors, the Commission risks weakening the position of authors. In order to counter the jurisprudence (fr) of the European Court of Justice, it will even provide for a completely illegitimate sharing of the compensation of exceptions between authors and editors! La Quadrature du Net will oppose the copyright creep in these proposals, in the name of the defence of freedom in digital environment. It will also work in the background, by meeting directly with authors and creators to help them defend their rights, experiment new diffusion models for their creations and new ideas for sustainable financing of creation.